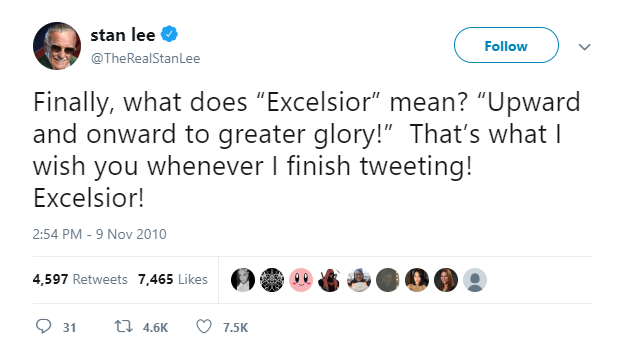 I’m guessing if you’re a regular reader (all 2 of you) or if you’ve found your way here somehow, you probably know who Stan Lee is and undoubtedly heard about his passing on November 12, 2018. His is a name that can be placed on the same list of world renowned creators who have had a major impact not just on future generations of creators but on entire cultures alongside the likes of Walt Disney (and probably George Lucas and Jim Henson). The name and the creations of Stan Lee have been a part of my life for as long as I can remember. This is the panel I had just drawn and was prepping to post when my wife came to my studio door and told me Stan Lee passed away. It hit like a truck. I knew he was up there in years, but he was such a vibrant human being that I thought he had decades of life left in him, which hopefully would have given me the opportunity to meet him, shake his hand, and thank him. 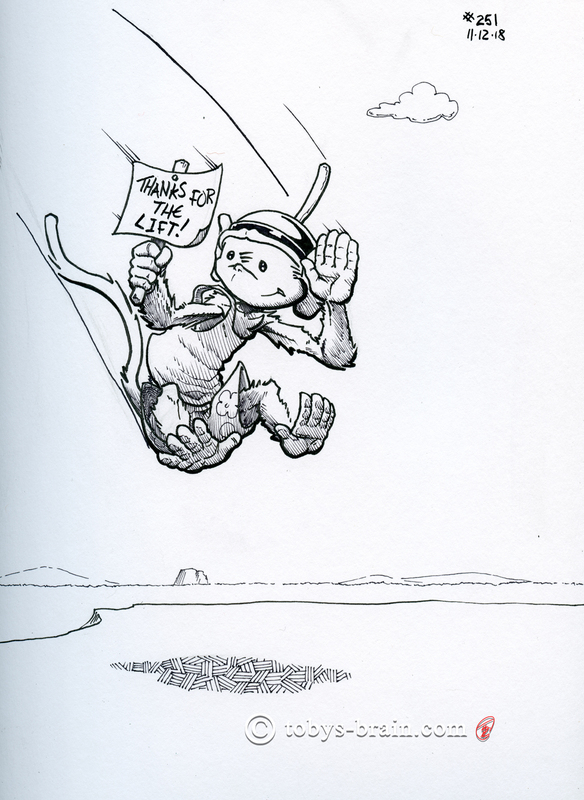 The panel itself is unrelated, but PMD’s “Thanks for the lift” seemed oddly fitting to me when I think about the uplifting effect all those Stan Lee creations brought me during some difficult times in my youth, as well as all the inspiration. I’m not the kind of person that hero worships. I don’t gush when I meet famous types (and I have). I understand that someone who has risen to a high profile is still just a flesh and blood human, with hopes, dreams, flaws, and needs, just like the rest of us. However, that doesn’t stop me from admiring someone’s accomplishments or respecting their character. Stan Lee was one of those people for me. Some of my earliest memories associated with Stan the Man are from the Saturday morning cartoon Spider-man and his Amazing Friends. That cartoon got me hooked on superheroes and gave me my first exposure to the X-Men and Wolverine, which led directly to my collecting comics (mostly anything with an X in the title-The Uncanny X-Men, X-Factor, X-Men, X-Force-or anything that had anything to do with Wolverine), which spawned my dream one day to make my own comics. Once fully immersed in the world of collecting, I started to understand and appreciate who Stan Lee was. He was witty and prolific, he was responsible for artists and writers getting credit for their talents at a time where that just wasn’t the way things were done in that industry. He created a universe (yes, with lots of help) of heroes that were relate-able. They lived in real cities, traveled to real locations, and had real human problems despite their tights and god-like powers. Stan Lee is largely responsible for my desire to create my own universes and tell my own stories. I even learned to draw super heroes the Marvel way, thanks to Lee and John Buscema’s How To Draw Comics The Marvel Way, a book I referenced so heavily by my teen years that the binding fell apart. I lament that I have misplaced it somewhere along the way. The older I got, the more I started to pay attention to Stan Lee as a human, rather than just what he created. Aside from always reminding me of my dad for some reason (maybe it’s the mustache? 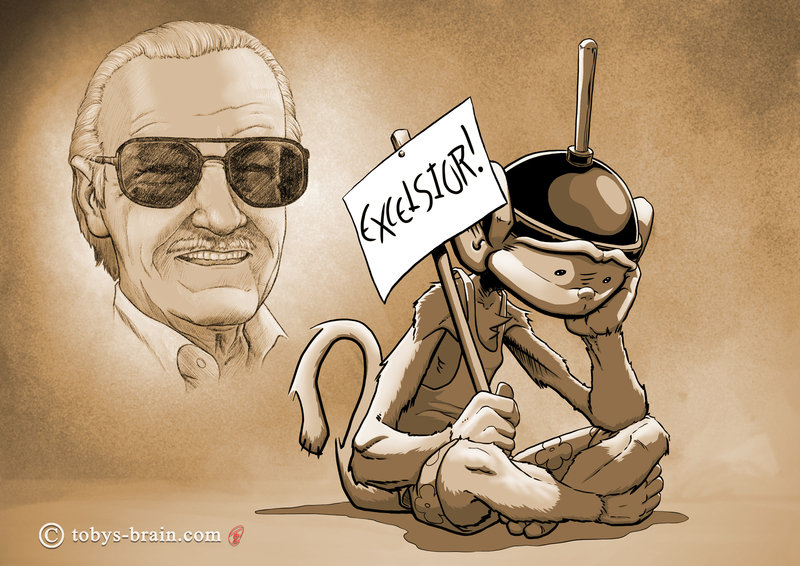 ), Stan appeared to have been a man of great character, embodying many of the virtues, and of course flaws, his very heroes exemplified on the comic pages. He had a great love and appreciation for his fans and always seemed warm and friendly. It will remain one of my life’s great regrets that I never got to meet him in person, shake his hand, and say “thank you”. What I thought for so long was a silly, throw away Stan-ism has a whole lot of meaning to me now.